I’m Sandesh Gaikar and I am pleased to greet you here and happy to be talking with you about your health, and the health of those you love. •	traffic pressure and crowding every time we move anywhere. Life is more challenging today than it used to be. I have been looking at this and seeing that heart problems and diabetes are at nearly epidemic proportions in India. Much of our population is overweight, even our children are having problems. Many of us are working so hard and such long hours that we just run out of energy. Mid afternoon our energy drops out, we wake up tired, our concentration and tolerance levels are not what they used to be. So what do we do to get our health back under control? 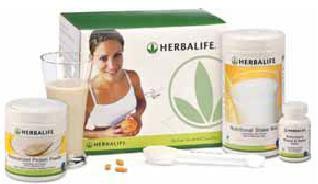 After searching out how to get good nutrition into our lives I find that the Herbalife company has developed a range of nutrition products that fill the gap. They have the highest quality products that are so good that they are now the number one nutrition and weight loss company in the world. When I understood how effective a high quality meal replacement program can be for busy professional and for families and children I decided to get involved with Herbalife. We can talk about weight, your energy levels, diet related health issues, about skin care or just about living a longer, fuller, life. On the other hand if you are looking for a solid company where you can invest your time and skills to create additional income then I’ll be happy to give you information about us. •	AND you can still eat the foods you love! If you are looking for a nutrition program to get yourself feeling well and fit then we have the answers for you. We also have a range of very powerful, targeted, nutrition products for health and well being. If you would like more information about our products for your personal use please click the PRODUCT link below. We are also looking for people who will work with us to spread the word about Herbalife products and our company and who will work with us to support people gaining better health. If you are looking for a way to work in the health industry, to help other people improve their lives, and to have more interest, more choices, more freedom in your own life then maybe you should talk with us. For information about our business please click the Sandesh’s Business Information link below. 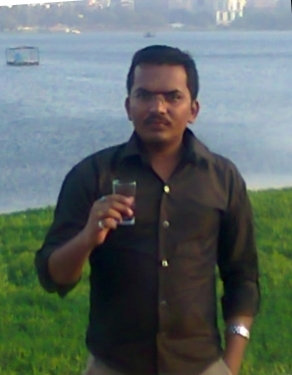 I look forward to your comments and to chatting together when you have reviewed the information on the site. SITE DISCLAIMER: Do these products “cure” anything? Of course not… but it stands to reason that if you cleanse your body and feed it the finest nutrition available, giving it everything it needs in balance, on a daily basis, that your body will do what nature intended, and give you the best possible chance to fend off sickness and disease. This Sandesh Health and Nutrition Resources Index information is not presented by a medical practitioner and is for educational and informational purposes only. The Sandesh Health and Nutrition Resources Index content is not intended to be a substitute for professional medical advice, diagnosis, or treatment. Always seek the advice of your physician or other qualified health provider with any questions you may have regarding your health online or a medical condition. Never disregard professional medical advice or delay in seeking it because of something you have read. The Sandesh Health and Nutrition Resources Index resources on this site are not intended to be a substitute for professional advice. While all attempts have been made to verify information provided in this publication, neither the author nor the publisher assumes any responsibility for errors, omissions or contrary interpretation of the Sandesh web site Health and Nutrition Resources Index subject matter herein. The site contents are solely the opinion of the authors and should not be considered as a form of advice, direction and/or recommendation of any kind. If expert advice or counseling is needed, services of a competent professional should be sought. The Sandesh Health and Nutrition Resources Index author and the Publisher assume no responsibility or liability and specifically disclaim any warranty, express or implied for any products or services mentioned, or any techniques or your health online practices described. The purchaser or reader of this Sandesh Health and Nutrition Resources Index publication assumes responsibility for the use of these materials and your health online information. Neither the author nor the Publisher assumes any responsibility or liability whatsoever on the behalf of any purchaser or reader of these Sandesh Health and Nutrition Resources Index materials. There is no guarantee of validity of accuracy. Any perceived slight of specific people or organizations is unintentional. This Sandesh website and its creators are not responsible for the content of any sites linked to. Since natural and/or dietary supplements are not FDA approved they must be accompanied by a two-part disclaimer on the product label: that the statement has not been evaluated by FDA and that the product is not intended to "diagnose, treat, cure or prevent any disease."